Random House Books for Young Readers, 9780449817520, 384pp. This spellbinding fantasy, perfect for fans of Shannon Hale, Juliet Marillier, and Kristin Cashore, continues the beautifully written series begun with Lark Rising. The Healer Evie saves two herbs for herself—yew, a quick and painful poison, and heliotrope, for the deep, deep sleep that never ends. 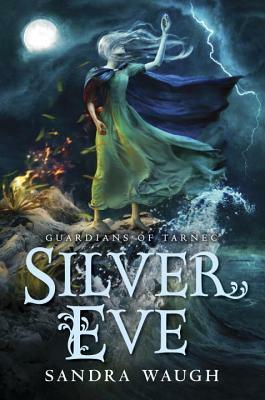 Soon Evie discovers that she is the Guardian of Death, the second of four Guardians who must awaken to their powers to recover four stolen amulets. Together, the amulets—Life, Death, Dark, and Light—keep the world in balance. To take back the shell that is Death’s amulet, Evie has to learn to challenge her Healer instincts and understand that love never dies. SANDRA WAUGH grew up in an old house full of crowded bookshelves, in walking distance of an old library that allowed her to drag home a sack of six books at a time. It goes without saying, then, that she fell in love with an old house in Litchfield County, Connecticut, because of its many bookshelves, and she lives there now with her husband, two sons, and a dog who snores. Loudly. For more information, reveries, and an author blog, visit sandrawaugh.com.